We are adding new items every day. This site is a personal museum of my greatest passion. Collecting, restoring, and diving vintage scuba equipment. Vintage Scuba gear is loosely defined as gear predating the common use of single hose regulators. Many will have a date in mind, but someplace in the early 1970s was the watershed event where the beloved double hose regulator met its demise……. With a few exceptions, as there are always exceptions, the last double hose was produced and sold in the USA in 1973. 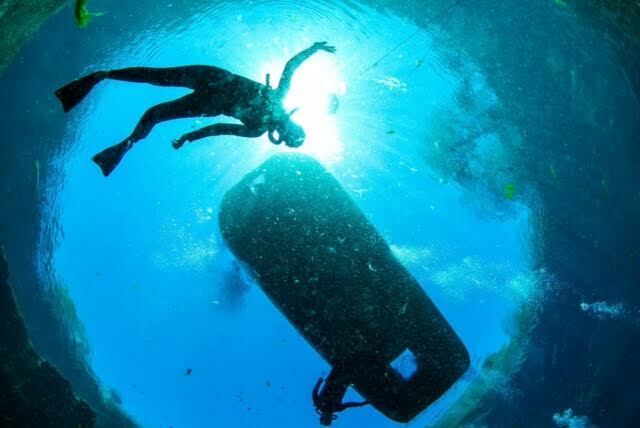 There was one notable exception; that being the Nemrod Snark series regulators used by the military for rebreather training well into the 21st century. I am by no means an expert or a qualified technician in regards to these old regs, but I do have a nice little collection of dive worthy regulators and other sundry equipment that I wish to share with the public on this site. 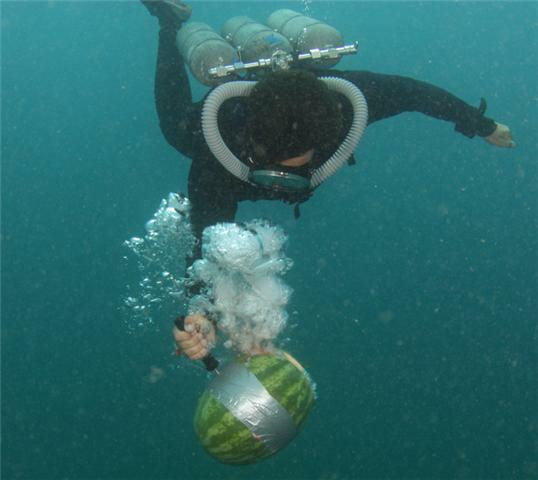 There are many vintage equipment collectors and I applaud them for their efforts in conserving these items for posterity, however; unlike those collectors, I work to maintain my items in dive worthy condition, and dive them the way the Scuba God intended. 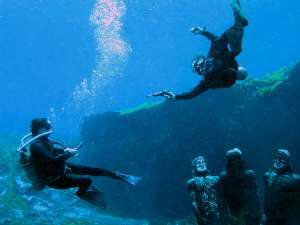 I am always looking for new items for the museum and my dive buddies. If you have any items that you would like to trade or sell please let me know and check my wish list for ideas. 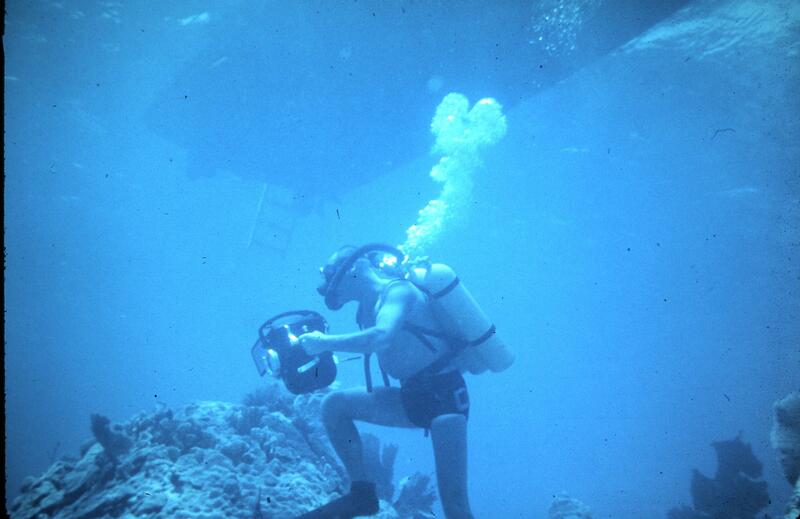 Divers fighting in Silver Springs during the 50th anniversary of SEA HUNT. A Shark Dart makes short work of a Melon at Portage Quarry 2009. Copyright © 2009 thescubamuseum.com. All Rights Reserved.